Glastonbury elects second Green Mayor! 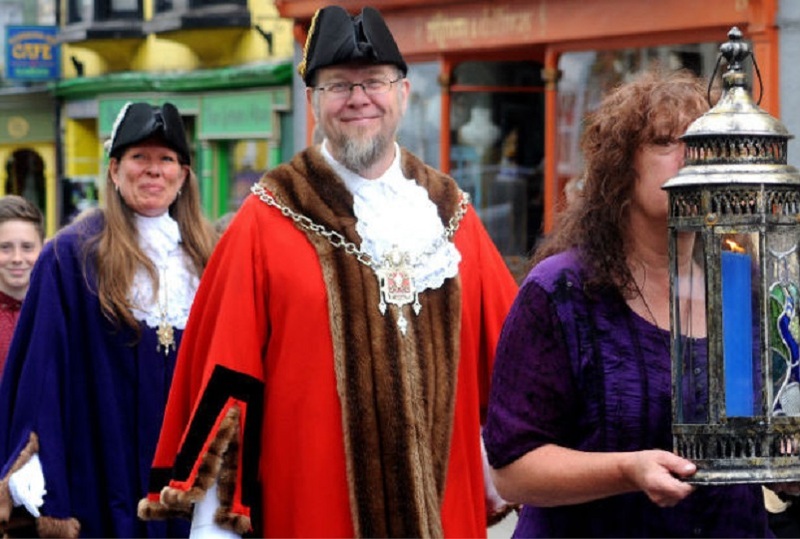 On Tuesday 10th May 2016, following the successful Mayoralty of Cllr Denise Michell, Cllr Jon Cousins became the second Glastonbury Green Councillor to be elected as Mayor of Glastonbury! 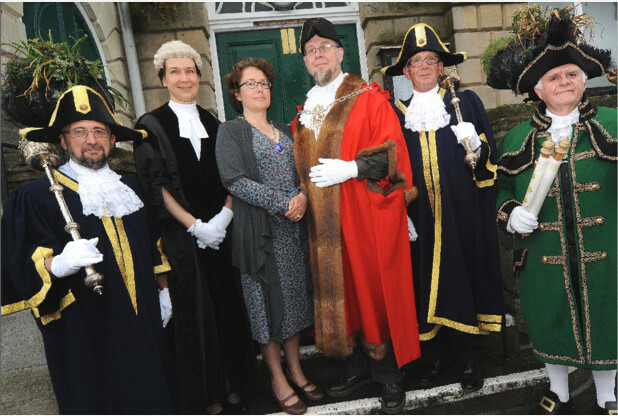 Glastonbury’s 317th Mayor, Green Councillor Jon Cousins with: (left to right) Macebearer Gary Day, Town Clerk Jane Czornij, Mayoress Lucia Forge, the Mayor, Macebearer Gary Knight, Town Crier David Greenway. The new Green Mayor was inaugurated on Sunday 22nd May during the Mayor’s Sunday Civic Service at Glastonbury’s St. John the Baptist Church.